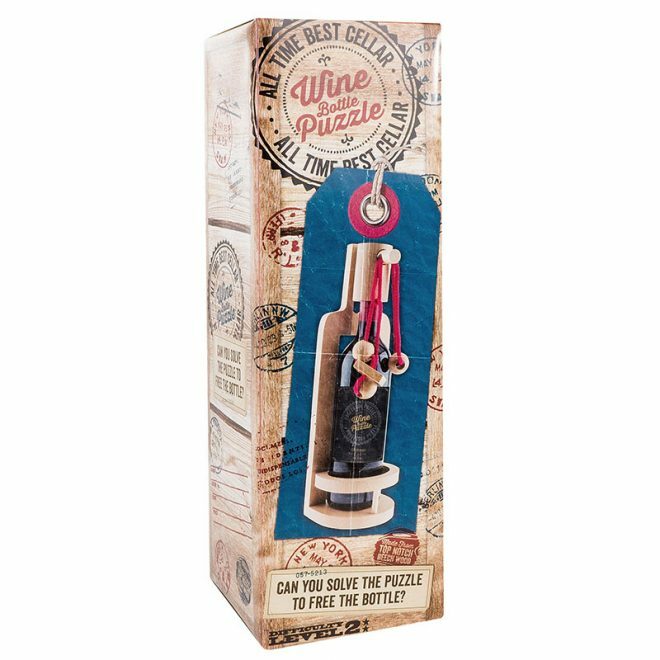 Just one puzzle from the Wine Bottle Puzzle collection. Guaranteed to challenge all fun-loving puzzlers, these beautifully carved wooden brainteasers make unique and clever gifts for any adult. Will you be able to solve the puzzle, free the bottle and celebrate with a victory drink?